Vous êtes ici : Accueil»Teach on Mars News»This autumn, Halloween is coming to haunt your smartphone! Are you ready for it? Trick or treat? From 30 October to 30 November, Teach on Mars takes you on a mysterious journey where horror turns to happiness through its Halloween Battle. What is the dark legend of Halloween? Who is the mysterious Jack-o’-Lantern? Which spells protect you from witches? 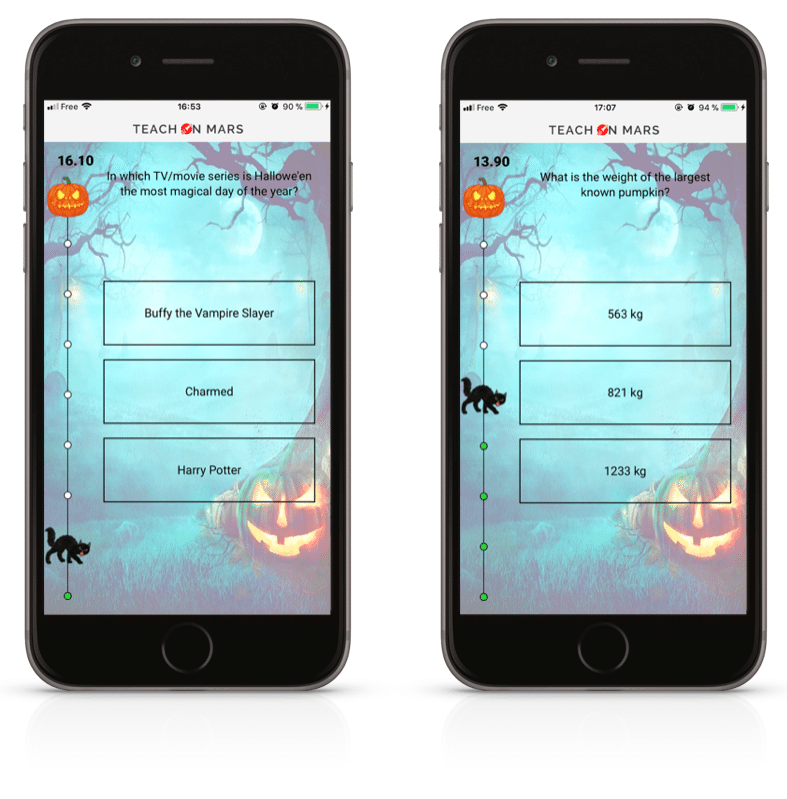 Find Halloween Battle on the Teach on Mars app, available to download right now on the App Store and Google Play.